SPF or Spray Polyurethane Foam insulation is one of the most efficient insulating materials available today, but just how does SPF work to insulate your home. SPF foam insulation is made by mixing chemicals that makes them react by creating a plastic foam. This foam expands on contact with the surrounding air. This foam then quickly hardens to insulate, air seal, and in some cases provide a moisture barrier. 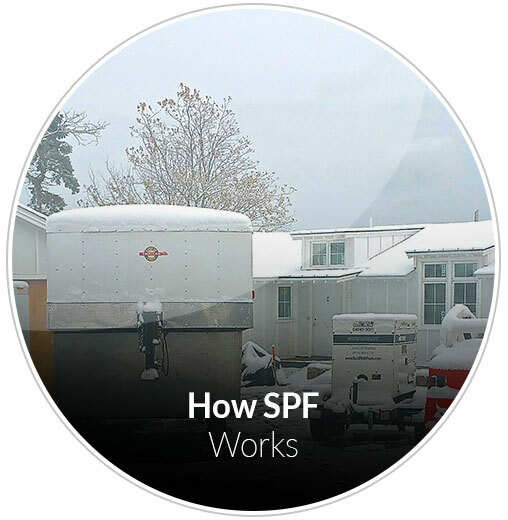 SPF foam resists heat transfer well, and It's highly effective in reducing air infiltration. Applying SPF insulation should be done by an insulation installer certified in the application of SPF spray foam. 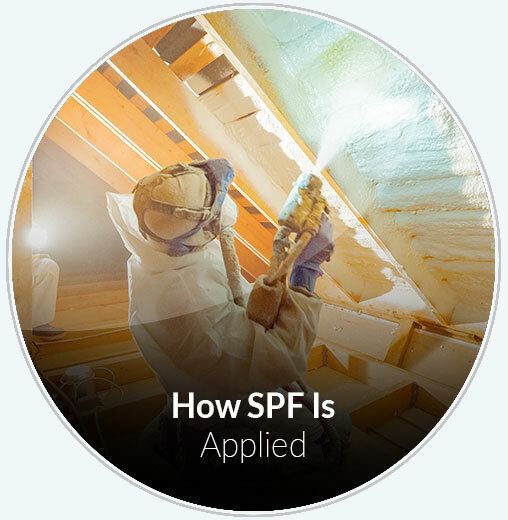 A certified installer applies SPF while wearing specific personal protective equipment and specific work practices including the use of proper ventilation to minimize their exposure to chemicals while installing this spray foam. They also are trained in the ability to apply just the right thickness of foam evenly. 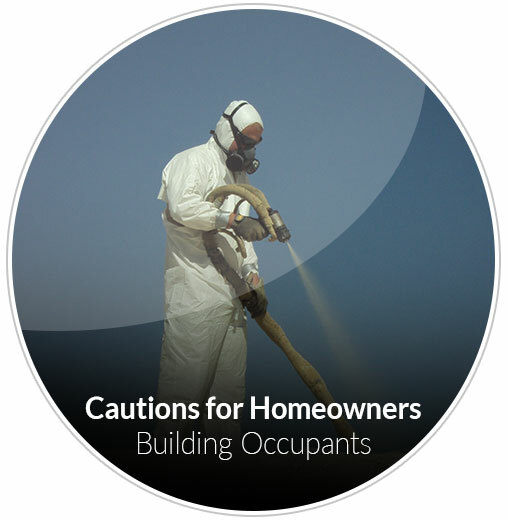 There are some cautions that homeowners and building occupants also have to adhere to. The building cannot be occupied during the application of the SPF due to the chemical fumes, and occupants of all buildings having spray foam installation installed need to adhere to the technicians guidelines as to when it is safe is return the building. These precautions are set to protect the health of all individuals so following these instructions to letter is an essential part of the entire installation process. Is SPF Insulation Right For Every Home and Family? While SPF foam is highly effective and can be used in virtually every building. It may not be right for every family. Homes whose inhabitants have severe asthma or are especially sensitive to chemicals fumes may experience additional respiratory problems, so people with these conditions may want to think twice about this type of insulation in the main parts of their home. However, even if you don't insulate your entire home using SPF, you may want to consider using this type of insulation in your attics, basements and crawlspaces. 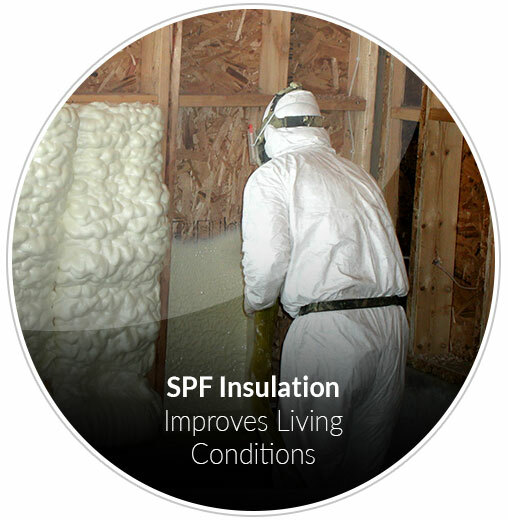 There are many ways in which SPF insulation can actually improve the living conditions in your home. First, this type of insulation not only effectively insulates your home and form an extraordinary air seal that keeps air from the outside leaking into your home, and that temperature controlled indoor air from leaking out of doors it serves many other functions as well. In addition to preventing air leaks SPF insulation can perform certain soundproofing functions as well, deadening noise more effectively than other more traditional insulation material. This means that your home will be a bit more quiet and relaxing. In addition certain closed cell SPF insulation actually provides a moisture barrier for your home, helping to reduce the chances of the mold and mildew growth which may be better for your family's overall health. 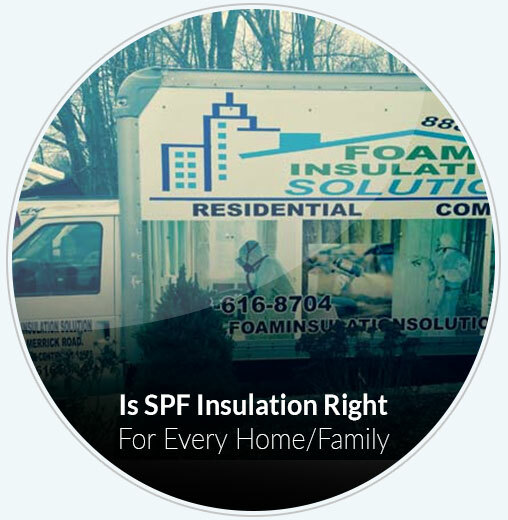 Understanding a little bit about how SPF insulation works, will help you to make a more informed decision about whether or not this type of insulation is right for you.